One of our more popular features over the past few seasons have been presentations in the Beyond the Score series developed by the Chicago Symphony Orchestra. These innovative programs combine live actors, multimedia, and the orchestra to present deep and entertaining background on a featured work—followed by performance of the full work. In the past four seasons the Madison Symphony Orchestra has presented Beyond the Score programs on Dvorák’s “New World” symphony, Rimsky-Korsakov’s Scheherazade, and Elgar’s Enigma Variations. This season we turn to the most exuberant of Mendelssohn’s symphonies, the Symphony No. 4 (“Italian”). Actors Sarah Day, Jonathan Smoots, and Nate Burger from American Players Theatre, join the MSO to present this program. 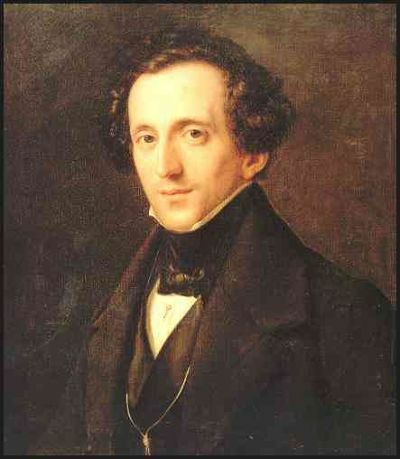 Mendelssohn composed the Symphony No.4 in 1830-33, and conducted the first performance in London on May 13, 1833. He later revised the score extensively. The Madison Symphony Orchestra has played the symphony on six previous occasions, beginning in 1929, and most recently in 1993. Duration 27:00. Like Mozart, Mendelssohn has the historical reputation of effortless talent, but the “Italian” symphony was actually the product of many revisions. In another letter of 1831, Mendelssohn complained to Fanny that the piece was not falling together as well as he had originally thought, and was costing him an undue amount of effort. He completed the score in Berlin in March 1833, and conducted the first performance a few months later in London. However, Mendelssohn revised the score extensively in 1837, and at the time of his death he was planning to revise the Saltarello yet again. The 1837 version of the symphony (the version known today) was probably never performed during Mendelssohn’s lifetime, and was only published after his death. None of the creative pains that the “Italian” symphony cost the composer are evident in this, the “jolliest” of Mendelssohn’s symphonies. The exuberant opening movement (Allegro vivace) is in 6/8 and is set in a thoroughly Classical sonata form. The opening theme is stated by the strings over a background of repeated chords in the winds. The second theme, announced by the woodwinds, is no less festive. Mendelssohn introduces a new, rather martial theme at the beginning of the fugal development section. A lengthy and dramatic crescendo leads into the recapitulation, which includes a brief reworking of the martial theme from the development. In his letter to Fanny, Mendelssohn wrote that he intended to “save” the slow movement until he arrived in Naples, and the Andante con moto seems in fact to have been inspired by a religious procession that the composer witnessed in that city. The clarinet’s opening figure sounds much like the chant intonation of a priest, and the plodding pizzicato bass line sets up a rather doleful mood for the main theme of the movement. This main theme is not in itself Italian, but may have been based upon a melody by Mendelssohn’s composition teacher, Carl Friedrich Zelter. The third movement, marked Con moto moderato, is in the spirit of a courtly Classical minuet. At the center of this movement is a lovely, pastoral trio with sonorous horns and delicate woodwind lines, that sounds much like Mendelssohn’s later incidental music to A Midsummer Night’s Dream.